In a survey of UK payments users (World Class Payments Report, Payments UK, www.paymentsuk.org.uk), customers expressed the need for “more choice and control over the timing and method of their payments”. Payments UK identified four capabilities as priorities for giving customers more control, simpler access, better information and improved confidence in their payments. 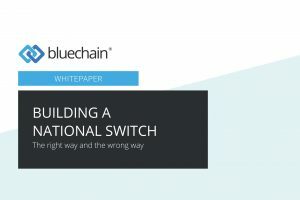 One of those priorities, and the focus of this whitepaper, is request-to-pay (RTP), which is a core capability of the Bluechain solution. What are the barriers to going cashless? Much has been written about the advantages of the cashless society, but the barriers to going cashless are many and varied, and the importance of each can change with geography and demography. In the developing world, the issues of going cashless or cash-lite are largely about financial inclusion, i.e. access to banking services, access to technology, and cost, whereas in the developed world, the discussion shifts towards issues of privacy and equal opportunity. In this paper, the main barriers to going cashless are identified and discussed. Although the need for financial inclusion is well understood, the solution has proved elusive. Access to education, communications services, and financial and banking services can pose special challenges in the Third World. And the barriers to inclusivity in developing countries are often formidable, such as distance from a financial service provider, lack of necessary documentation papers, lack of trust in financial service providers, low financial literacy rates, the high cost of making low-value transactions, and religion, to name just a few. 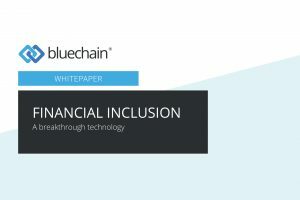 This whitepaper investigates the challenges of financial inclusion, the costs and issues associated with it, and explores why emerging and developing countries are now primed for digital payment innovation. The global payments paradigm is changing. Worldwide, the dominant international card schemes battle against ever-increasing fraud, exposing their underwhelming response to the emergence of card-not-present transactions. In the developing world, banks are looking to mobile technologies to capture payments by the unbanked and remove reliance on cash. And in the first world, disruptors are carving out pieces of the market to capitalise on new technologies and widening gaps in niche market payment scenarios, particularly for e-commerce and m-commerce. 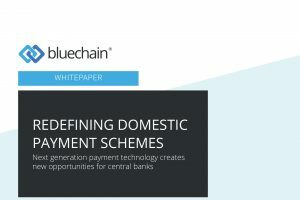 In this white paper, we discuss how a new payments scheme can assist central banks to regain control of their domestic payments, draw the unbanked into the financial system, promote a “cash-lite” economy, combat financial fraud, and reduce the cost of payments for consumers, merchants and banks without eroding margins in the payments industry. As the IoT and connected devices become more prevalent, our smartphones are becoming increasingly connected to the world around us. Smart portable, mobile and wearable devices use a number of different wireless communications technologies, including Wi-Fi, NFC and Bluetooth. 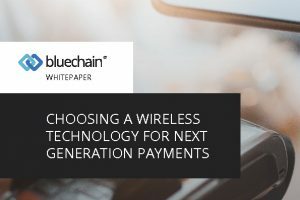 To be successful, a next generation payment technology needs to be widely adopted, scalable, interoperable, secure, wireless, low-power and low-cost. While Wi-Fi and NFC meet some of these requirements, only Bluetooth ticks all the boxes.